Posted August 1st, 2012 by alexa & filed under Portraits. So my first proper blog post – how very exciting!! I’m so looking forward to sharing some of my images with you in the years to come. 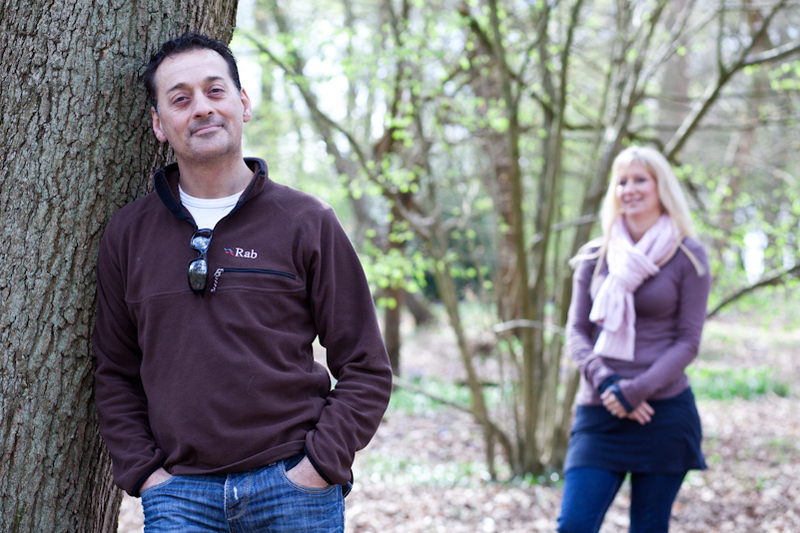 And I’m going to start with a portrait photography session in Surrey. Let me introduce myself first. I’m a photographer based in London and I photograph families, weddings, musicians, headshots, birthday parties, corporate events. I love to photograph people – not just doing portraits but also trying to capture life in a more documentary style. I really enjoy photographing events as they unfold before me. It’s the unposed elements in photos that really appeal to me. To match this style I prefer to do my photo shoots outside, rather than in the confines of a studio. 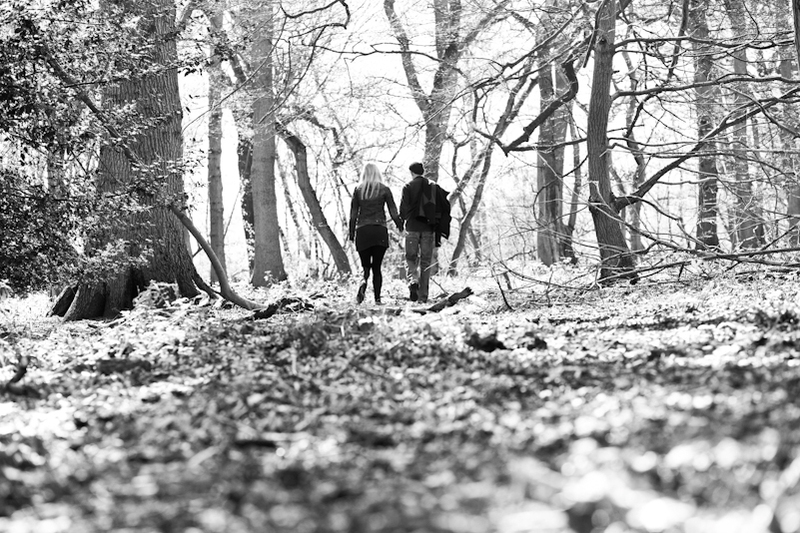 So for this first proper blog post what better than a wonderful photo session with this most lovely of couples out in nature – in the woods in Surrey. 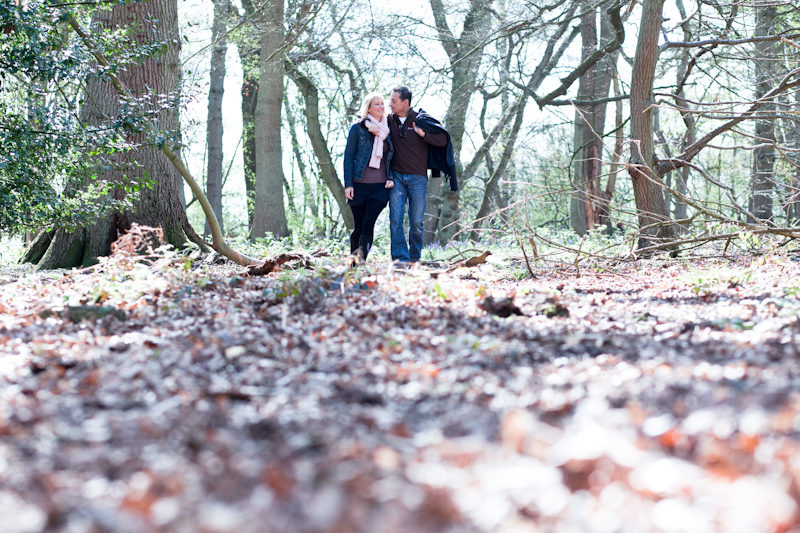 I met up with Clare and Jeremy for this relaxed photography session and we had a lovely time chatting and wandering through the woods. 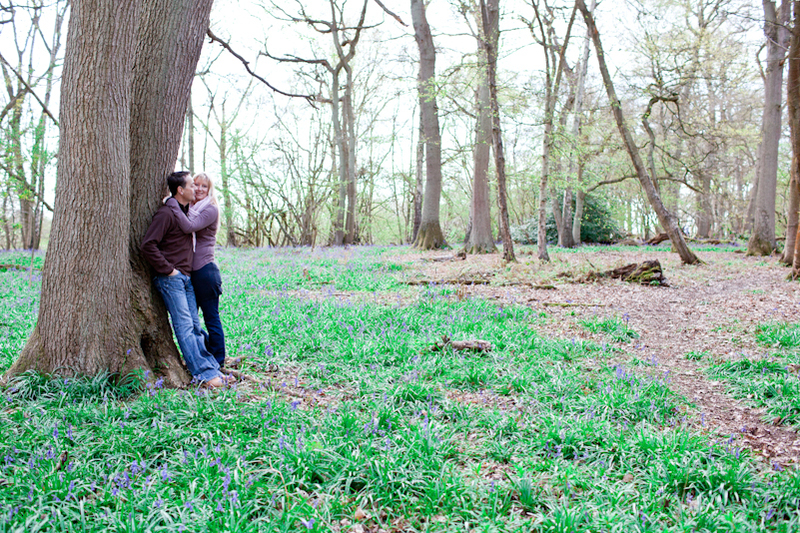 We stopped every now and again and got some relaxed portraits of the couple amongst the trees and the bluebells. 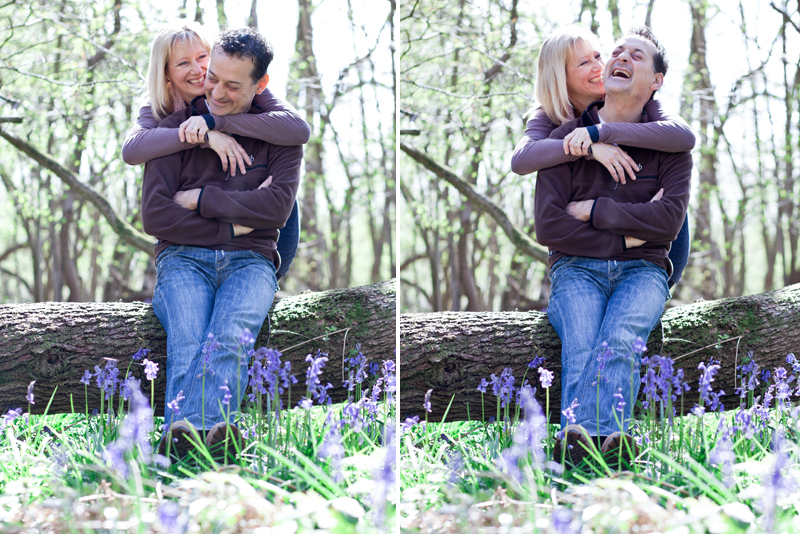 One of my favourite images from our morning together is the one where Jeremy is sitting on a tree trunk, surrounded by the beautiful bluebells and Clare whispers him something that obviously tickled him. The resulting laughter made for a fun portrait, which is exactly the atmosphere I was looking for in the images. I really hope you enjoying seeing some of the images from this Surrey portrait photography session and to hear some of my thought processes that go into creating these relaxed images. If you’re looking for a photographer for your family, wedding, party or business please do get in touch on hello@alexakidd-may.com or 07813 816335. I’d love to meet up and get to know you, whilst creating some unique images which you will treasure forever. Lovely shots Alexa, great work!